Chocolate and flowers are the stereotypical gifts for Valentine’s Day, and I can understand why. I love chocolate (fair trade organic camino chocolate, to be exact). And I love flowers. But I no longer love to get a bouquet of cut flowers, for several reasons (which I first discovered when writing my wishlist for Mother’s Day last year). 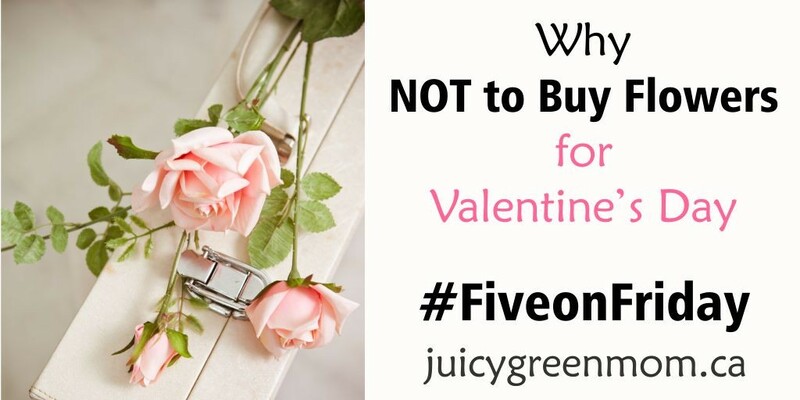 Here’s why NOT to buy flowers for Valentine’s Day (or any special occasion, really). 1 – The flowers you’re sniffing are laden with chemical pesticides. Flower growers are “traditionally heavy users of farm chemicals, including some that are highly toxic or suspected to cause cancer” (National Wildlife Federation). There are no regulations about the amount of chemicals left on the flowers when they end up with the consumer – and since people don’t eat them, they probably don’t care to try to wash them off. And flower growers use heavy-duty pesticides because otherwise they may not be able to sell their flowers with blemishes or bugs on them. It’s a sad and vicious cycle. 2 – The workers growing the flowers are exposed to high concentrations of the nasty chemicals. Protective gear isn’t always used by workers administering pesticides. The chemicals they’re working with often cause adverse health effects, like chronic headaches that force workers to leave their jobs, or respiratory distress and neurological impairment. 20% of the chemicals used are restricted in the US and Europe, but still used in South America. And yeah, they don’t get all washed off. 3 – The human rights issue for workers in South America. “Insufficient wages, sexual harassment, child labor, and excessive exposure to harmful pesticides are the most common and troubling issues in the foreign cut flower market.” (One Green Planet) The majority of cut flowers sold in the US are imported from Colombia or Ecuador, where there continue to be ongoing battles to improve conditions for floral workers. 4 – The cut flower industry is eco-unfriendly. Tons and tons of flowers are grown and harvested for Valentine’s Day, and they have to be kept in pristine condition to get to North America. In order to do that, they have to be kept in energy-guzzling refrigerated vehicles for as long as possible – all the way from warm South America to the cold supermarkets in North America. The pesticides used on the flowers are, of course, not exactly eco-friendly either. Don’t forget all of the packaging that goes along with making a pretty bouquet. 5 – The dead flowers end up en masse in landfills after Valentine’s Day. The flowers decay in the landfill and “emit methane, a potent greenhouse gas” (Huffington Post). And then of course, the pesticides on the flowers will end up in the soil and water… so yeah. Gross. 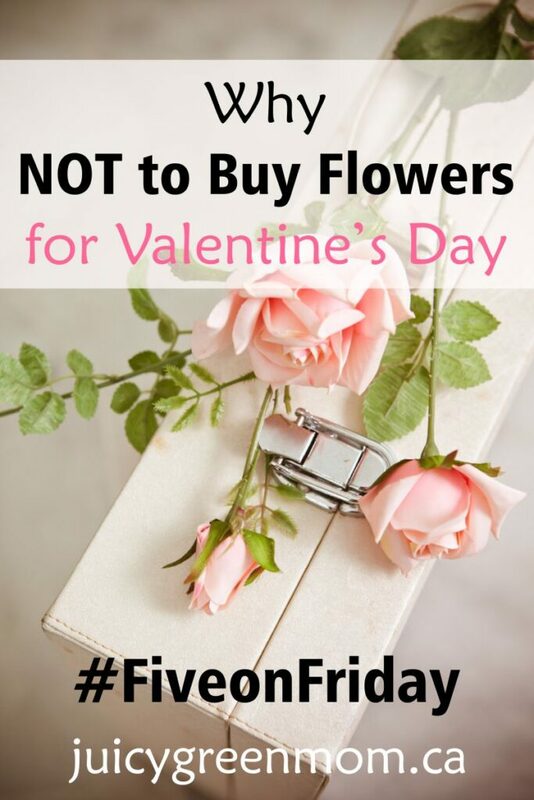 How will you show your Valentine you care without cut flowers?